These colorful rugs are perfect for injecting a lively energy into a room. 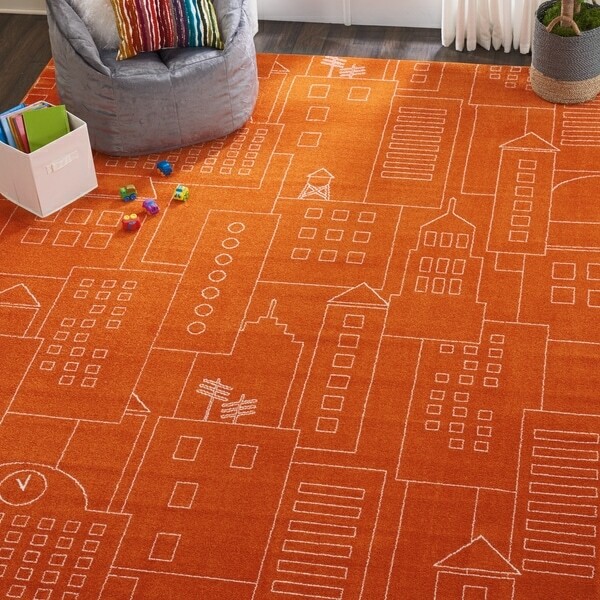 The city may big and bustling, but this artistic hand-drawn design on a brilliant orange field injects a warm, inviting energy into any room. Powerloomed for long wear and simple spot cleaning, this Miles area rug from Nourison is a welcome dose of whimsy. We love the rug. Great for any room to add some color and fun.